JCR: Vol. 12, No. 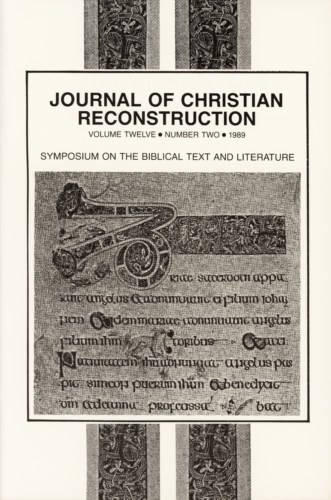 02, "Symposium on the Biblical Text and Literature"
The symposium contained in this journal is about faithfulness.It is about the preservation of original, infallible truth as handed down through generations in the words and texts of the human language. Charles D. Provan (1955 — 2007) authored the book The Church is Israel Now. JCR: Vol. 12, No. 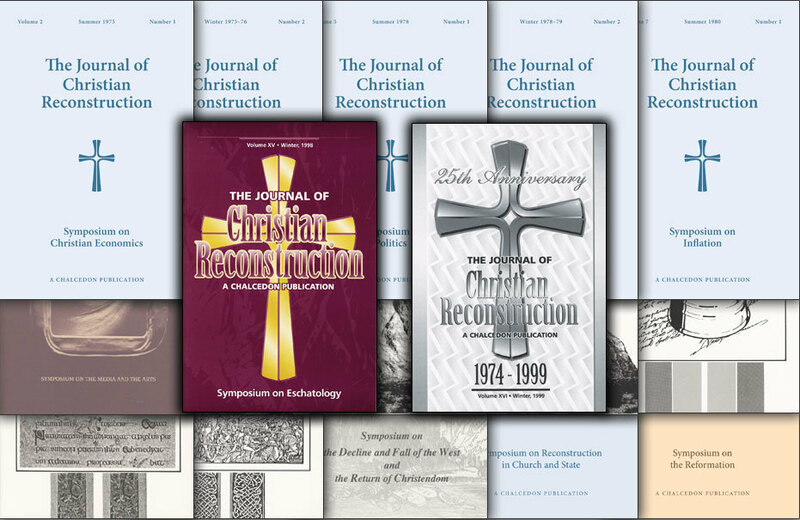 01, "Symposium on the Constitution and Political Theology"
JCR: Vol. 13, No. 01, "Symposium on Change in the Social Order"